REDDING is enclosed on all sides by craggy hills, mountain peaks, and volcanoes. The city itself has many opportunities to eat and drink and experience, but escaping into the great outdoors is the best way to really immerse yourself here. Waterfalls, trails, crests, cliffs, meadows, and peaks are all within easy reach. 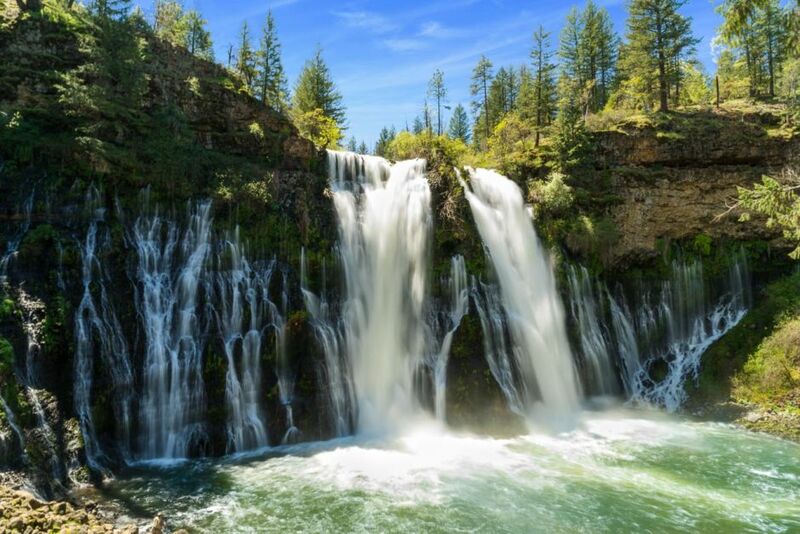 This park, located about 90 minutes east of Redding, was named after its waterfall and the family who once owned the land. It contains one of the most beautiful waterfalls in the US. Its 129-foot drop is breathtaking to see. The falls can be enjoyed from the upper viewpoint, or you can hike down to the pool at the base. You can hike a portion of the Pacific Crest Trail within the park or camp in the designated campsites in the memorial park. Here you’ll find dozens of miles of marked trails for bikers and hikers. Some of these trails are currently part of the Redding Mayor’s Mountain Bike Challenge, an initiative to encourage people to explore the natural beauty around Redding. 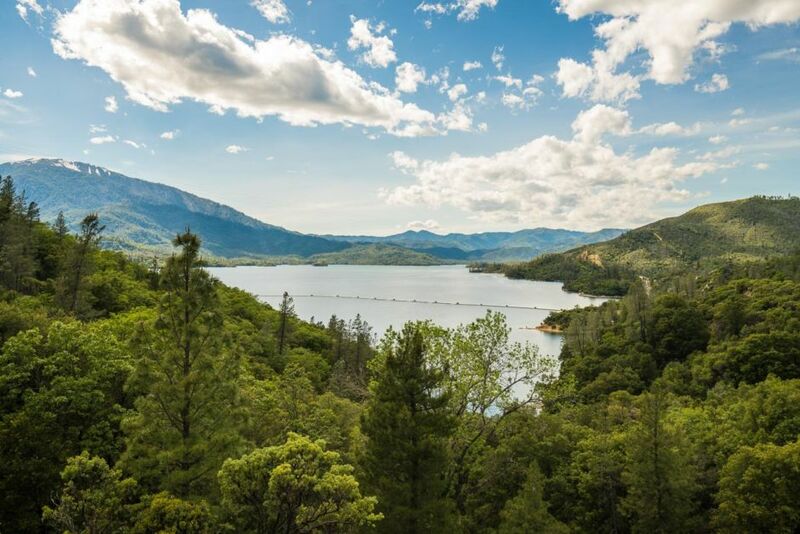 The trails offer fantastic and unobstructed views of the Sacramento River, the Shasta Dam, and other unspoiled natural areas. You can read more about the Mayor’s Mountain Biking Challenge here. The Sacramento River National Recreation Trail is a flat, mostly paved trail that loops around the Sacramento River, along its historical abandoned railway - and crosses the Sundial Bridge. You can find the trail details here. Whiskeytown National Rec Area is just 15 minutes west of the city. Whiskeytown was a gold rush town, though little remains. Now instead of booze and gold miners, you’ll find the locals' favorite summer spots for camping, picnicking, tanning, hiking, biking, and fishing. You might see bald eagles, black bears, mountain lions, blacktail deer, turtles, and raccoons. Whiskeytown was flooded to make way for Whiskeytown Lake in 1962. The lake is shallow and clear, so very popular with swimmers. On a clear day, you can see the foundations of the old town at the bottom of the lake. Lassen Volcanic National Park is about an hour east of Redding. Lassen almost feels like Yellowstone in its dramatic scenery, and geysers. Lassen has all four kinds of volcanoes in existence on Earth. You can drive, hike, and camp in the park to witness its steam vents, mud pots bubbling over, and steaming hot lakes and springs (too hot to jump in). 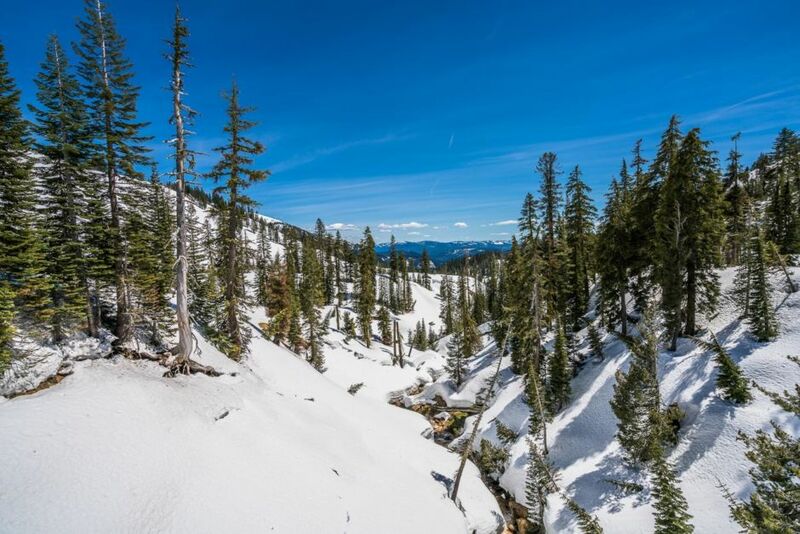 The highest road in the Cascade Mountain Range is also found here, near Lassen Peak, reaching 8,512 feet above sea level. During the summer months, when Redding is experiencing triple digit temperatures, Lassen still feels just like spring. 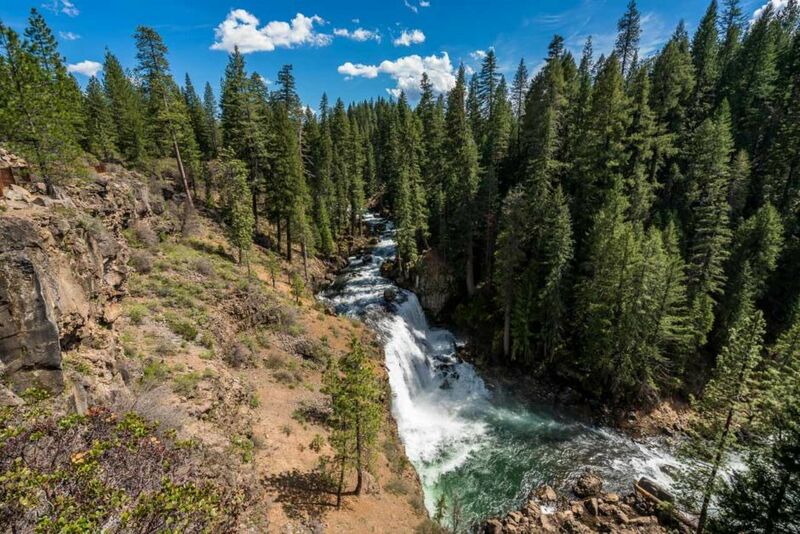 The McCloud River is lush with greenery, tall trees, creeks, and waterfalls. You can see traces of the Mt. Shasta’s ancient volcanic activity through the lava flows and basalt columns found along the river. There are three stunning waterfalls named Upper, Middle, and Lower Falls. Of the three, the Middle Falls are the largest and most impressive with a 44-foot drop. The Upper Falls are the tallest and the Lower Falls the shortest, but the Lower Falls offer a 12-foot deep plunge into a large pool. There is also a comfortable picnic area. 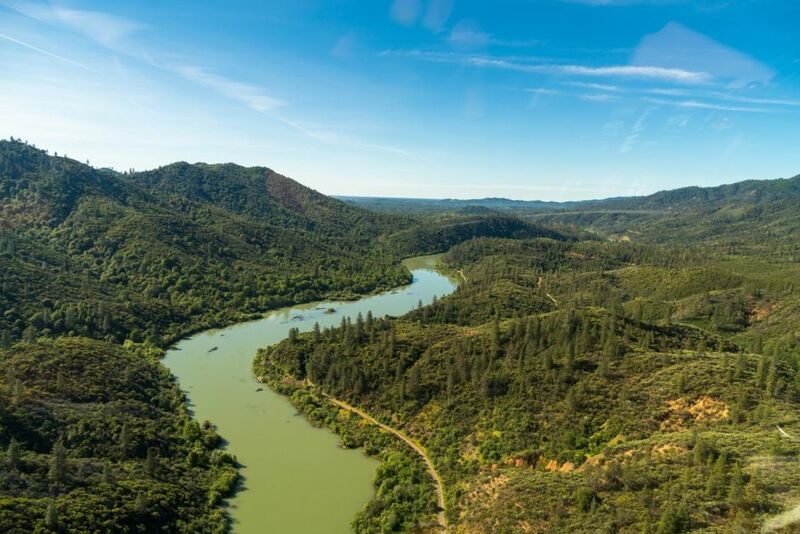 The only way you can reach these caverns is by taking a 15-minute boat ride across Lake Shasta, followed by a bus ride that’ll take you 800 feet up the mountain to reach their entrance. It’s all part of a tour. 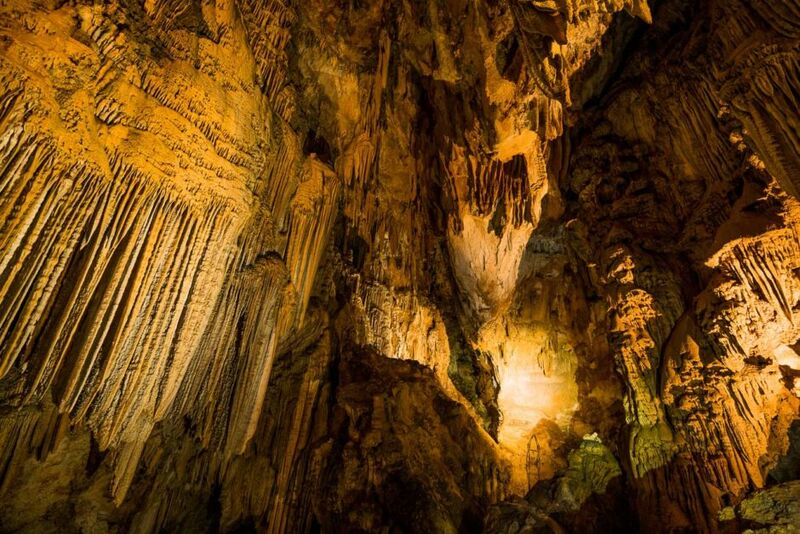 The tour will take you through some of the most impressive chambers found inside the caverns, finishing up in The Cathedral, a large underground space that is not only full of intricate limestone patterns and formations but also has a deep layer of history for the Wintu Native Americans. 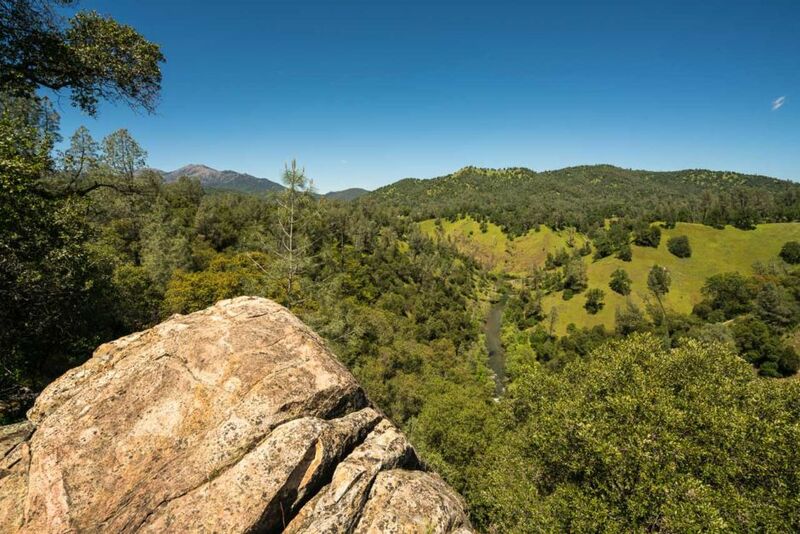 Happy Valley and Swasey Recreational Area are two recreational areas around Redding where people can enjoy the great outdoors without having to go too far from the city. There are many marked trails, but most of the trails are still rugged and unmarked for you to discover on your own. Cloverdale trail in Happy Valley, has a great viewpoint of the river below; and the Mule Mountain Trail in Swasey Recreational Area, takes you through dense forest and creeks, which will make you feel as though you are much further outside the city than you are. 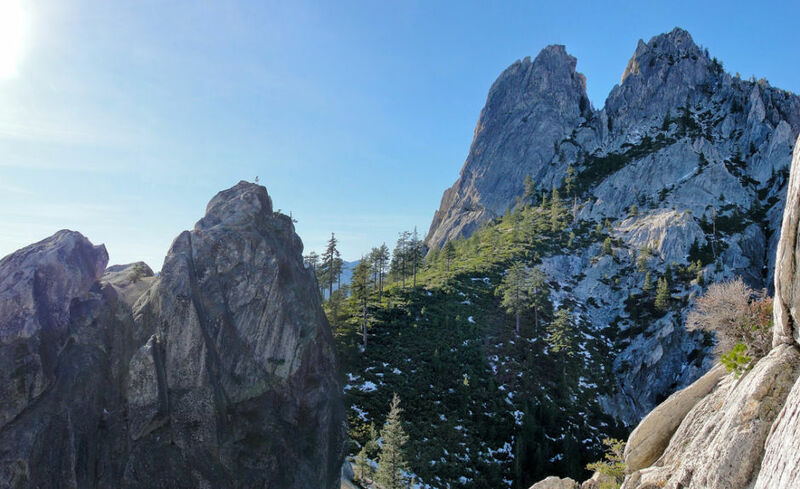 Castle Crags State Park, named after its 6,000-feet tall glacier-polished crags, is close to Mount Shasta, with hiking and camping the most popular activities here -- because of the views. [Note: Norbert was a guest of Visit Redding to participate in the Mayor's Mountain Bike Challenge.